The Endless Pool is a counter-current swimming pool and water exercise machine that is small enough to fit inside a home or business. 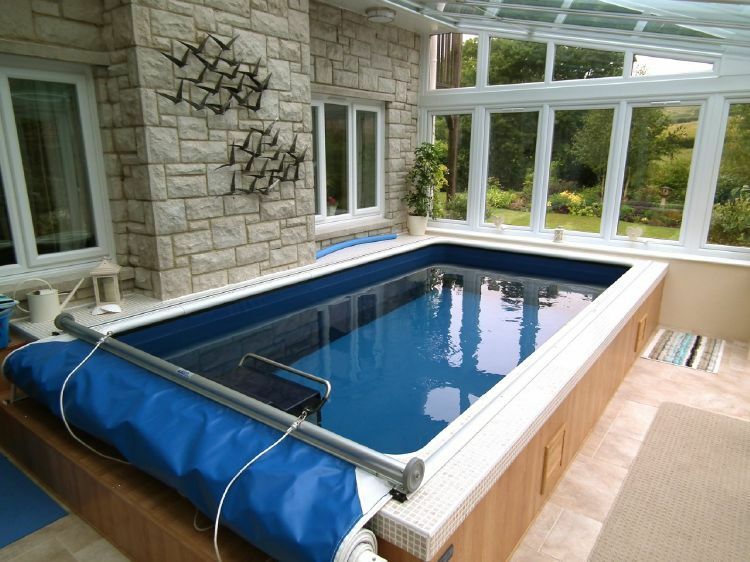 The Endless Pool features an adjustable current that allows you to swim or exercise in place. The current is broad and deep, and it is suitable to every swimming ability and fitness need. You can also set the temperature precisely, based on preferences and needs. Using the Fastlane current machine you can retrofit an Endless Pool into any existing swimming pool. How does an Endless Pool work? The Endless Pool propulsion unit can move a huge amount of water — up to 5,000 gallons a minute — through two grills that straighten and smooth the water’s flow. The result is a river-like current that is totally adjustable in speed from a gentle flow to a racer’s pace by simply turning a knob. The swim current is generated by a 16″ propeller inside a protective stainless steel housing that is driven by a hydraulic motor. The swim current is remarkably smooth because of an ingenious return system using the pool’s underwater perimeter benches. As the water flows down the center of the pool, it enters a grill in the rear bench. The side benches act as return channels that loop the water from the back to the front of the pool.